The Thought Leadership & Innovation Foundation (TLI) was formed in 2011 to support transformational change projects across healthcare and special education. For more than 25 years, TLI’s leadership team have developed strong working relationships with US universities and aided in their varied pursuits of international, commercial and federal programs. Our strategic clinical and educational partners range from Mayo Clinic and Harvard University to top DC metro universities. Currently, TLI supports the Mayo Clinic, Johns Hopkins University, the Uniformed Services University of the Health Sciences, and the BADER Consortium which supports the University of Delaware, Harvard, and the Mayo Clinic. Other clients have included UPMC, University of Washington, Yale University, Columbia University, Duke University, Oklahoma University, University of Nebraska, Henry M. Jackson Foundation, Robert Wood Johnson Foundation, and RAND Corporation. Starting from a small contract in 2010 supporting the US Federal Health Futures Group, TLI has developed strong relationships and programs across a number of academic organizations. Our team has grown to include numerous Senior Advisors and Fellows with expertise in many program areas specific to the research and development goals of our partners. TLI is all about providing the necessary thought leadership to promote innovative thinking and new research that leads to transformative change in each area. TLI’s scientific purposes to advance the development and delivery of personalized healthcare, and to build a safer, cleaner and more sustainable future for humanity. Dr. Fred Cecere is a physician with more than 40 years of experience. His major interests include: Bio-defense planning, disease management, performance metrics, process redesign and outcomes measurement in both commercial and Federal healthcare settings. Ambassador Bradley P. Holmes, a lawyer by training, has over 35 years of domestic and foreign experience in regulation, policy, legal, and operational matters affecting the global communications industry. Mr. Bill Oldham serves as Chairman & CEO and leads the overall direction of TLI, finance, and business development. Bill Oldham brings more than 25 years as an entrepreneur, investor, executive and consultant supporting growth industries and high value clients across health, technology, financial, and energy industries. Dr. Fred Cecere serves as the Chief Strategy Officer and Executive Director and leads strategy development for TLI. Dr. Fred Cecere is a physician with greater than 40 years of experience. His major interests include: Bio-defense planning, disease management, performance metrics, process redesign and outcomes measurement in both commercial and Federal healthcare settings. Dr. Cecere served as the Chief Medical Officer of Evolvent (2012-2013). During his tenure with Evolvent, and during his previous tenure as the Chief Medical Officer for Expertech Solutions, he was a major force in the development of the Air Force Medical System (AFMS) Futures Group and in the transformation of that group into the Federal Health Futures Group (FHFG). During his three years as a coordinator of the FHFG, he demonstrated his acumen as a Futurist and as a highly skilled facilitator. As the current Chief Strategy Officer and Executive Director of the Thought Leadership & Innovation Foundation, he continues in a subject matter expert role to that organization. Until late 2008, Dr. Cecere was the Chief Medical Officer for Noblis (formerly Mitretek) a nationally prominent non-profit company working to improve healthcare performance in the Federal sector. Dr. Cecere has served as the President of the Society of Medical Consultants to the Armed Forces for the last two years. Dr. Cecere has a passion for improving the quality of health care and planning for the delivery of health care. Throughout his career he has blended his clinical acumen, his experience leading provider organizations and his knowledge of systems to make a difference. He has performed pioneering work in outcomes research, has led major process improvement projects within the National Quality Management Program of the Department of Defense, and has been instrumental in the design and early functional integration of both the National Capital Area Multi-Service Market and more recently the newly conceived Walter Reed National Military Medical Center. In 2001, Dr. Cecere founded CFR Enterprises as a company dedicated to supporting and promoting businesses and biotech firms that seek to advance the principals of responsible and high-quality healthcare. During his 26-year military career he served as Special Staff officer to the Surgeon General (TSG)/Commander U.S. Army Medical Command (USAMEDCOM), the Deputy Surgeon General and the Assistant Surgeon General for Health Services, Financial Policy and Readiness Operations. Dr. Cecere assisted TSG in communicating his strategic vision to the Army Medical Department’s internal and external audiences. Dr. Cecere received a Bachelor of Arts from Boston University College of Liberal Arts and received a Doctorate of Medicine from the Boston University School of Medicine. Dr. Kevin Berry is an accomplished physician, administrator, leader, and researcher interested in implementing innovations. His 30-year Navy Medicine career includes serving as Chair of Pediatrics, Naval Medical Center San Diego supporting two graduate medical education programs, multiple clinical and leadership positions. He served as senior leader/advisor on research projects including a teaching kitchen program for enlisted Soldiers to improve personal readiness through practical life-style behavior change, facilitating community health engagement, expanding access to non-drug therapies for acute and chronic pain in health systems, and systematically reviewing the evidence for hyperbaric oxygen in the treatment of traumatic brain injury. Dr. Berry is one of the founding leaders of the 100 Million Healthier Lives movement and a founding member of the Veteran Hub. Dr. Berry received his M.D. in Medicine from Georgetown School of Medicine and a BS in Biology from the University of Southern California. Dr. Bonnie Sakallaris serves as Vice President with a focus on research and development of holistic approaches to health creation. She also leads our coordinated, collaborative asset-based community engagement programs. Dr. Bonnie Sakallaris, PhD, RN is TLI’s Vice President for Optimal Healing Environments. She leads a team of scientists and clinicians committed to the development and understanding whole system approaches to health and healing and the environments that support them. Her work in research and development of holistic approaches to health creation produced the evaluation tools for the Optimal Healing Environments framework, the Optimal Healthy Workplace framework and evaluation survey, and the Foundation’s definition and framework for Community Wellness and Resilience. Dr. Sakallaris is responsible for the translation of evidence about wellness and healing into products and services accessible to clients to stimulate practice transformation, culture and behavior change toward a world where healing processes are the foundation for improving performance, preventing illness, achieving and maintaining wellness and ameliorating chronic disease. She works with a group of international corporate and not-for-profit leaders on the issue of global well-being and serves as the convener to bring diverse experts together around global wellness issues. Dr. Sakallaris holds a B.S. in Psychology from Northeastern University, B.S.N. from Boston University, M.S.N. from the Catholic University of America, and Ph.D. is from George Mason University. Ms. Shawn Murphy serves as Senior Director of Operations, leading the operations and Program Management Organization (PMO) and is a health information technology subject matter expert. Ms. Shawn Murphy has more than 30 years’ experience in software development, COTS integration, interoperability, and system sustainment in government and commercial sectors. She has 15 years’ experience focused on DoD Military Health Systems (MHS). Ms. Murphy is adept at continuous process improvement, resource management, financial management. As security officer for TLI, she provides guidance for PHI, PII, HIPAA data security and management. She is a Healthcare IT SME supporting healthcare technology support, information assurance and cyber security services for clients serving DoD and VA entities. Ms. Murphy oversaw continuous monitoring activities for federal enterprise systems to ensure compliance with NIST Risk Management Framework including; documentation, control analysis, auditing and policy development, continuous monitoring, remediation of findings, and accreditation. Ms. Murphy has a Bachelor of Science from George Mason University. She is a certified Project Management Professional (PMP), a certified Scum Master, and certified ITIL v3 Foundation. Ms. Jennifer Verge serves as Senior Director, Marketing and Communications and leads marketing and communications strategy and operations as well as proposal development and operations. Ms. Jennifer Verge is a marketing and communications professional with more than 13 years of experience in driving the development, implementation, and management of marketing and communications strategies through the creation of publications, marketing content and materials, conference and event planning, and website content creation and development. She is a strategic marketer with a passion for planning, producing and executing go-to-market strategies while interacting with executive leadership team to define and drive company strategies. Ms. Verge spent ten years supporting companies with federal government, state government, and commercial contracts. She has an ability to communicate effectively with a wide audience, both technical and non-technical, and to work independently and collaboratively with sales, marketing, client services, engineering, and executive team. Ms. Verge supported a Silicon Valley start-up product launch for an Application Release Automation (ARA) / DevOps / Continuous Integration/Continuous Delivery (CI/CD) software product, including product marketing and client services support. In addition, she has more than 12 years of experience providing full life cycle proposal management support, developing proposal infrastructure through implementation of proposal procedures, use of proposal development methodologies including storyboarding and graphics-oriented approaches. TLI’s Senior Advisors and Fellows include thought leaders across health community, education, economic empowerment and innovation. Their academic and professional expertise serve TLI’s mission. Mr. Dea Belazi leads AscellaHealth, which provides pharmacy benefit manager services to nearly 3 million people in the commercial, Medicaid and Medicare markets. He operates the independent consultancy, AlchemiPharma, whose clients include pharmaceutical manufacturers and health plans. The consultancy focuses on many areas including pharmacy benefit strategies, formulary management, contracting, business development strategies, and health economics and outcomes research. Belazi is also the principal and owner of CrowdHealth, a social networking site for consumers to share healthcare experiences. Belazi founded and leads the business development of two other Pharmacy Benefit Managers, PerformRx and FutureScripts, which was acquired in September 2010 by Catamaran. Mr. Belazi holds a Masters of Public Health at Johns Hopkins University. Ms. Lynly Boor is an executive-level valued advisor with more than 25 years of experience in strategic communications, public and government affairs, partnership-building and business development. She is committed to advancing the needs of our nation’s service members, veterans and military families. Ms. Boor served as Head of External Relations at the United Service Organizations (USO) where she led USO’s relationships with Congress, the White House, Executive Branch agencies and key stakeholder groups. She spearheaded successful advocacy efforts and built collaborative relationships with the entertainment industry, partner organizations and targeted external constituencies to generate public awareness and ongoing engagement in support of USO goals and bottom-line objectives. These include securing over $160M in appropriated funds and corporate / individual support; building one of the largest and most engaged Caucuses on Capitol Hill with over 225 Members of Congress; partnering with White House on more collaborative engagement and military support events than any other non-profit within the space. Throughout her career, she is committed to achieving measurable outcomes and drive business forward in the public and private sectors. She received a B.A. in communications from the University of Maryland. Dr. Calvo has wide policy and advisory experience as principal of multiple consulting firms and has been on clinical faculty at the medical schools at Stanford, UCSF, and UCSD. Ahmed Calvo, MD, MPH, is Director of the National Leadership Fellowship on Health Policy and Public Service, Haas Center for Public Service, Stanford University; Senior Fellow and Advisor, Thought Leadership and Innovations Foundation; Immediate Past-President, Hispanic Employees Organization, U.S. Department of Health and Human Services (HHS-HEO); and member of the National Hispanic Medical Association (NHMA). Dr. Calvo has wide policy and advisory experience as principal of multiple consulting firms and has been on clinical faculty at the medical schools at Stanford, UCSF, and UCSD. He has been a consultant to the Department of Defense (DOD), most recently co-leading the Health Futures Group in support of the Joint Medical Chair for Global Health, National Defense University (NDU), under Assistant Secretary of Defense for Health Affairs, Dr. Jonathan Woodson. For more than 13 years, Dr. Calvo has been Director and Chief Medical Officer for the Breakthrough Collaboratives of the Health Disparities Collaboratives operated by the Health Resources and Services Administration (HRSA), U.S. Department of Health and Human Services (HHS); Chief of the Clinical Quality Improvement Branch, Bureau of Primary Health Care; Acting Deputy Director of the HRSA Center for Quality, Office of the Administrator, HRSA; Chief Medical Officer, Senior Advisor and Acting Director Office of Health IT and Quality, HRSA; and Vice-Chair, HHS Medical Claims Review Panel for the Federal Torts Claim Act (FTCA), with Dr. Anand Parekh, Deputy Assistant Secretary for Health, HHS, housed within the Office of the Assistant Secretary for Health (OASH). Prior to joining HRSA, Dr. Calvo was Director of Medical Education at Scripps in San Diego, and Medical Director of the San Ysidro Health Center, a large Federally Qualified Health Center (FQHC) community health center network on the California-Baja California Border Area that evolved emergency operations center capacity for emergency preparedness by using mobile clinics. Dr. Calvo has been in active clinical practice for over 30 years; was CEO and Chairman of the Board for a variety of medical groups in private practice; and was President of several chapters of the American Academy of Family Physicians (AAFP). A graduate of Stanford University, the UCSF School of Medicine, and the UCSD/SDSU School of Public Health program, Dr. Calvo also completed multiple advanced faculty development fellowships at UCSD focused on care of the underserved; as well as the National Leadership Fellowship at the NYU Wagner School of Public Service (with the National Hispanic Medical Association). Dr. John M. Cho is a retired US Army Brigadier General with over 20 years of senior executive experience in healthcare operations, management, and administration and in leading the planning and direction of complex health management organizations — from clinics to large healthcare systems. As the Deputy Chief of Staff, Support (G-1/4/6), he was the responsible General Officer (GO) for 200 senior corporate headquarters staff and all Army Medicine issues related to information management, information technology, cyber, clinical informatics, the new $4.5B DoD electronic health record (MHS Genesis, Army Functional GO Champion), military and civilian human resources, talent management and medical logistics for the US Army Medical Command- an $11.5B healthcare system with 65,000 personnel serving 1.5M beneficiaries worldwide. He has a proven track record of leading change, achieving value for large organizations through creative and effective strategic problem solving, and effective coaching and mentoring leading to former subordinates serving as the CEO of hospitals and large clinics. Dr. Cho is a Certified Physician Executive (CPE) of the American Association for Physician Leadership since 2011, Board Certified in Cardiothoracic and General Surgery, American Board of Surgery, in 1998 and 1995 respectively and a Fellow American College of Surgeons (FACS) in 2000. He was recently selected by the Board of Directors for AMSUS, The Society of Federal Health Professionals, as its Executive Director. Organized in 1891 and chartered by Congress in 1903, AMSUS is a 501(c)(3) non-profit membership-based organization, the voice for federal health professionals and advocate for interagency healthcare collaboration among the Department of Defense, Veterans Affairs, and Health and Human Services. Mr. Michael Connelly is an executive and an entrepreneur with 40 years’ experience in leading transformational change in education, healthcare, media, and private equity investing. He served with distinction in the areas of executive management, operations, business development, finance and law. His focus is on strategy, organizational development, operational excellence, and results. He is a leader in the development of strategy and in building the organizational structure required to achieve it, with a track record of achievement. Mr. Connelly is a frequent public speaker in the US and internationally on education reform, school management, entrepreneurial management, strategic planning, social entrepreneurism, corporate governance, and finance. He is a leader in education reform and social entrepreneurism. Mr. Connelly served as the CEO of Mosaica Education, Inc., a global manager of K-12 public charter schools, private schools, and online educational programs for 17 years. Under his direction, he expanded Company from two schools under management to 93 schools in 14 states and four countries (U.K., India, Qatar and UAE). He oversaw development and operations of new divisions responsible for the Company’s award-winning proprietary curriculum (“Paragon”), its online schools and other K-12 learning options, a successful school turn-around management business, and its extraordinary professional development and assessment capabilities. He received Global Entrepreneur of Year Award from the AllWorld Network (Harvard University, 2012). Mr. Robert Clerman has more than 30 years of experience at the intersection of public policy, science and technology. Mr. Clerman’s experience focuses on formulating innovative solutions for clients facing complex technical and management challenges in fields like national security, environmental sustainability and healthcare. His interests include homeland security, health, biological defense, public health preparedness, and critical infrastructure protection. He works with government agencies and businesses on strategic initiatives that drive innovation and business growth, including launching new services, winning contract awards, diversifying into new markets, assessing technology, and develop branding, account development, and capture strategies. He also serves on the Boards of TEAM Integrated Engineering and Systems Development and Analysis, Inc. (SDA). Mr. Clerman served as the Corporate Vice President for Mission Development at Noblis, where he provided branding, program management and business development leadership. At Noblis and its predecessor organizations, Mitretek Systems and MITRE, he worked with teams from across the corporation and other organizations to conduct studies, develop new business, disseminate and evolve the corporation’s strategic plan, and communicate brand value to employees, customers and other stakeholders. Mr. Barry Granger is a business executive and consultant, working for over 35 years at the DuPont Company and the Dow Chemical Company. Both companies are world leaders in market-driven innovation and science. In his two most recent roles as Vice President – Government Marketing and Government Affairs and Vice President and General Manager, Nonwovens, he led the transformation of the Government Affairs organization, refocused and rebuilt the global Government Marketing Development organization and provided leadership in the business recovery of the Nonwovens business unit during the US housing and global economic crisis. He has over 35 years of extensive experience in highly regulated industrial materials companies, especially in the market areas of food packaging and graphics, personal protection, housing and automotive. He worked at DuPont since 1987, and is experienced in corporate and non-profit board governance process through his previous roles as Assistant Corporate Secretary and Executive Assistant to the Chairman and CEO, and Vice Chair, Board of Trustees, Delaware State University. Mr. Granger has extensive experience in international business strategy, especially in emerging markets, through his development and implementation of new business segment growth strategies to expand into China, South Korea, Taiwan and Eastern Europe. He has led global business teams, managed global customer relations and is adept with dealing with customers from different cultures and around the world. During Mr. Granger’s assignment as Assistant Secretary of the Corporation and Secretary to the Strategic Direction and Environmental Policy Committees, he gained experience and expertise in the governance process of a world leading, diversified materials company. He worked closely with leadership across all areas of the company, furnishing him with a rare understanding of board and management perspectives on governance. He is therefore uniquely positioned to assist the board in cultivating a productive and beneficial relationship with management. Prior to joining DuPont, Mr. Granger served as an Engineer – Manufacturing Business Group at Chrysler Corporation and as Production Engineer – Texas Operations at Dow Chemical. He has served on a number of public sector boards and became Vice Chair of the Delaware State University Board of Trustees in 2014. He received his BS in Chemical Engineering from the South Dakota School of Mines and Technology and his MBA in Industrial Management from Indiana University. Dr. Charles Bruce Green was the 20th Air Force Surgeon General and the functional manager of the U.S. Air Force Medical Service. He is an expert in anything related to the Military Health System, veterans’ health, medical disaster response, air evacuation, patient centered medical home, connected health, and health analytics. Dr. Green is a managing director with Deloitte Consulting LLP, serving as chief medical officer for Deloitte’s Federal Health practice. Dr. Green is an advisor to Deloitte’s federal and commercial health clients and a thought leader in clinical public health leadership and preparedness. He serves as a consultant to health industry and corporate boards, improving private sector and government care by strategically planning sustainable models of care. He has a MD and a MPH from the Harvard School of Public Health and is board certified in Aerospace Medicine. Dr. Teresa Hardee is a senior executive with over 25 years of leadership experience in business and industry, government, and higher education. She specializes in helping organizations achieve superior business results through operationalizing strategic and tactical business plans. Dr. Hardee has a proven record of accomplishment and has served in a variety of leadership roles in several organizations. She currently serves as the President and CEO of I5O Consulting Services specializing in data-driven processes that improve operating performance and productivity. She is a licensed certified public accountant and a six-sigma black belt. She has worked closely with the Bill and Melinda Gates Foundation on data analytics and measurement. She formerly served as a chief operating officer and chief financial officer and has interests in many aspects of organizational improvement through leveraging technology and reimagining business processes. She has also effectively managed significant public/private partnerships involving large-scale construction and renovation projects, bringing them in on-time and under budget. Dr. Hardee received her undergraduate degree majoring in accounting from Fayetteville State University, a masters (MPA) from NC Central University and her doctorate in Higher Education Administration from the University of Pennsylvania. She has also completed a certification at Harvard University. Both the public and private sectors recognize him as a worldwide expert on telecommunications, information technologies, and general communications. He was recently recognized for his many years of outstanding service and contributions to the telecommunications industry by the International Telecommunications Union, one of the oldest United Nations agencies based in Geneva, Switzerland, by receiving its highest award and medal. During the Administration of President George H. W. Bush, he served as the United States Coordinator for International Communications and Information Policy, a position equivalent in rank to Assistant Secretary of State with the title of Ambassador. Working with other key cabinet and government agencies such as the FCC, Department of Commerce, Office of the US Trade Representative, Pentagon and National Security Agency, Ambassador Holmes developed and directed US telecommunications policy as an integral part of US foreign policy. Prior to this position, Ambassador Holmes served in key policy positions at the Federal Communications Commission, and was nominated by President Ronald Reagan to be a Commissioner. Following government service Ambassador Holmes was a partner in the consulting practice of Coopers & Lybrand (now PWC) and served as MD of the firm’s Global Telecom Group. Subsequent business positions include CEO of a New York City market wireless telecom company and COO of a global undersea cable company (pre-operations). Over the years he has also served as a top advisor to the executive management of global communications companies, financial institutions, international organizations and governments. At the beginning of his career he was a lawyer in the New York City office of the law firm Skadden, Arps, Slate, Meagher & Flom. Ambassador Holmes received his Juris Doctor Degree from Georgetown University, and his Bachelor of Arts in Economics and English from Dartmouth College. He is a member of the Bar of the State of New York. Dr. Sidney Levitsky serves as a Senior Vice Chairman of Department of Surgery at Beth Israel Deaconess Medical Center, Boston, a major teaching hospital of Harvard Medical School. Dr. Levitsky is the David W. and David Cheever Professor of Surgery at Harvard Medical School and Director, Cardiothoracic Surgery for the CARE GROUP in Boston. He served as President of the Society of Thoracic Surgeons (2005 to 2006) and has held faculty positions at Yale University School of Medicine, the National Heart Institute, the University of Illinois College of Medicine, Cook County Graduate School and Harvard Medical School. He has been a Member of Scientific Advisory Board at CellAegis Devices Inc. since August 2012. He serves as a Member of Board of Trustees at Harvard Clinical Research Institute, Inc. He has authored over 450 journal articles and publications with a focus on intraoperative myocardial protection and ischemia/reperfusion injury of the heart. Dr. Levitsky received his M.D. degree from Albert Einstein College of Medicine and is board certified in surgery and thoracic surgery. Dr. B. Robert Mozayeni is an expert in Translational Medicine, the science and art of advancing medical science safely and efficiently. Dr. Mozayeni is a Rheumatologist with graduate and post-graduate physician-scientist training from Albany Medical College, Yale University, Howard Hughes Medical Institute, and the National Institutes of Health (NCI, NHLBI, and NIAMS). He is presently in private practice in Bethesda, MD where he specializes in chronic inflammatory diseases having rheumatic and neurovascular manifestations. Dr. Mozayeni is the founder and Executive Director of the Translational Medicine Group where he has developed and commercialized software that supports data-driven methods to accelerate the evaluation and improvement of patient-centered care pathways. Under an ongoing research collaboration, Dr. Mozayeni maintains an observational clinical evaluation of the significance of Bartonella infection in a cohort of several hundred human patients with otherwise unexplained chronic conditions. Clinical correlations between Bartonella species and various conditions are being determined as part of ongoing research which continues to redefine diagnostic and therapeutic options as dictated by clinical experience. Dr. Robin Robinson serves concurrently as a Fellow for Regenerative Medicine and Biomedical Research at TLI, the acting Chief Executive Officer of Acquired Immune Medicines, Inc. developing new vaccines for influenza and other emerging pathogens, the principal consultant at IntraBio, Ltd in the U.K. on neurodegenerative disease therapeutics, and an independent senior executive consultant for 12 other large and mid-size pharmaceutical and biotechnology companies in the U.S. and Europe. Dr. Robinson reentered the business sector after retiring in 2016 from federal public service at the Department of Health and Human Services (HHS), where he served from 2008 - 2016 as the first director of the Biomedical Advanced Research and Development Authority (BARDA) and Deputy Assistant Secretary for Preparedness and Response. Dr. Robinson brought BARDA into prominence as one of the top 10 fully integrated R&D organizations worldwide supporting advanced development and acquisition of drugs, vaccines, diagnostics, and medical devices with an annual budget of $1.3 billion for man-made biodefense threats, pandemic influenza, and emerging infectious diseases including Ebola and Zika viruses. 32 medical countermeasure products that BARDA supported since 2008 have been approved and licensed by the FDA during his tenure. Dr. Robinson previously served from 2004-2008 as the Director for the Influenza & Emerging Disease Division within BARDA and its predecessor agency at HHS. Dr. Robinson established a program with scientific and technical experts to implement the national and global strategic plans and policies for the development of new influenza antiviral drugs, vaccines, and diagnostics outlined in the National Strategy for Pandemic Influenza. For his leadership in this role, Dr. Robinson was the recipient of the Department of Defense’s Clay Dalrymple Award in 2008, the HHS Distinguished Service Award three times, and a finalist for the Service to America Medal in 2009. In 2013- 2015 Dr. Robinson was recognized as one of the top 50 most influential persons worldwide in vaccines by Vaccine Nation. Dr. Robinson received a bachelor’s degree in biology from Millsaps College in 1976 and a doctoral degree in 1981 from the University of Mississippi Medical School in medical microbiology. He completed a NIH postdoctoral fellowship with the State University of New York at Stony Brook in molecular oncology in 1983. Dr. Robinson pursued research from 1983-1992 on the molecular pathogenesis of herpesviruses and HIV while on faculty in the Department of Microbiology and Immunology at the University of Texas Southwestern Medical School. Prior to federal public service, Dr. Robinson served as the Director of Vaccines at Novavax, Inc. (Rockville, MD) from 1995-2004, where he led the development of 20+ vaccines to hepatitis B and E, influenza, noroviruses, and human papilloma viruses from early development, clinical trials, manufacturing scale-up, and commercialization through FDA licensure. While at Novavax, he developed patented platform vaccine technologies including virus-like particles and subunit protein vaccines for human pathogens including malaria, human papilloma, hepatitis, and influenza and for prostate, melanoma, and cervical cancers. Dr. Robinson serves on the Senior Advisory Group for the World Health Organization (WHO) on emerging infectious diseases and pandemic influenza. He continues to serve as an editorial board member and reviewer for several professional scientific and technical journals on virology, vaccines, public health, and biotechnology. Dr. Henry Smith is a senior non-profit professional with 30 years’ experience as a transformative organizational leader in government, higher education and associations. He served as the former U.S. Assistant Secretary of Education with superior presentation skills plus strong experience building successful educational partnerships to advance the mission on international, federal, state and local levels. He is a fundraising, strategic marketing and government consultant supporting universities, community colleges, education consortia and associations. Dr. Smith currently serves as Assistant Professor for the School of Education at Johns Hopkins University. In this role, he leads faculty on Entrepreneurial Leadership in Education in EdD and serves as an Instructor in Leadership; Politics and Education; Disciplinary Approaches to Education. Prior to that, he served as the Executive Director for Partnerships in Educational Transformation, which was a new Dean-initiated position to develop national, international partnerships for education reform, to diversity School revenue streams to raise Schools’ national profile. In this role, he created and implemented national Visiting Fellows program; organized School’s first professional development program; initiated, brokered and implemented multimillion dollar partnerships with education companies such as Tutor.com, Disney; and major nonprofit organizations such as Smithsonian, Teach for America, Sesame Street; and served on the Dean’s Leadership Council. Dr. Smith served as the US Assistant Secretary of Education, appointed by the Secretary of Education, Richard Riley. In his role at the US Department of Education, he managed collaboration with the White House, Secretary of Education, governors, college presidents and other federal agencies on implementation of major education reforms of the Clinton Administration. Dr. Smith holds a BA in American Government from Boston University, a Masters of Public Administration from the John F. Kennedy School of Government at Harvard University, and a Doctor of Education in Higher Education Administration from the Graduate School of Education and Human Development from the George Washington University. TLI has formed alliances and subcontracting relationships with entities ranging from small to large industry businesses, nonprofit organizations, and academia. TLI is a non-traditional defense contractor member of the MTEC. MTEC is a 501(c)(3) biomedical technology consortium collaborating with multiple government agencies under a 10-year renewable Other Transaction Agreement with the USAMRMC. MTEC is designed to organize and conduct advanced applied research for prototype development to address a range of military capability needs. TLI has a longstanding relationship going back more than a decade with the HJF to support USU on multiple programs, including research and systemic reviews, program design and evaluation, community health activation, and human performance optimization services. HJF relies on TLI as a partner to provide quality research, education, training and scientific support services that benefit the USU. Supporting the Health Equity and Prosperity Project, TLI worked to strengthen multi-sector community leaders and create both better health and more effective healthcare. Our analysis of the research revealed that the best outcomes will be gained where networked community leaders work to extend and improve life in healthier environments created through multi-sector partnerships. AMSUS provides communications and education forums to present a broad selection of opportunities for member companies to see, hear and interact with leaders from the Federal Health System (e.g. Department of Veterans Affairs, Department of Defense, Indian Health Service, Public Health Service and Coast Guard) in an environment that fosters cooperation and the sharing of ideas for the betterment of both the member companies and these Federal agencies. As a member of AMSUS, TLI participates in the engagement between government and industry. TLI also facilitates the Executive Advisory Board (EAB) meetings and forums. TLI works closely with the Motion Analysis Clinic at the Mayo Clinic to further the development of a national prosthetists registry. This registry is designed to standardize, measure, and report patient outcomes data, support evidence-based decision making, enhance health care delivery, and establish and disseminate best practices in this field. Since our inception, TLI has worked with Amputee Coalition, AOPA, the Mayo Clinic and other organizations to develop a registry for the collection of data related to patients who have had limb loss or limb preservation surgery. Our goal is to make data available which could improve patient outcomes and identify trends in the success or failure of medical devices. 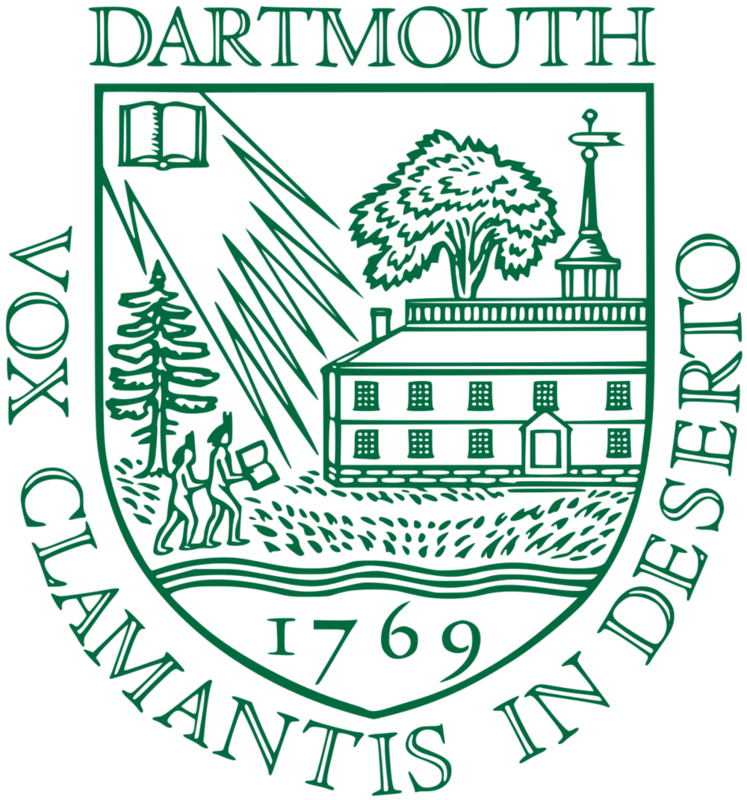 As a part of this work, we have collaborated with the Dartmouth Biomedical Engineering Center (DBEC) for Orthopedics where they assess new technologies and designs for orthopedic medical devices. As an academic retrieval laboratory, they exist as a sentinel in the effort to detect device failures prior to widespread harm to patients. We bring together individuals and organizations who share our commitment to transformational and cultural change. We provide an objective platform where the goal is to create societal benefit through collaboration, innovation, and thought leadership. We take on projects that drive change with our partners.